How can i use Cactus V6 to trigger them sequencely? There won't be remote power control, but there's no problem with flash triggering signals. 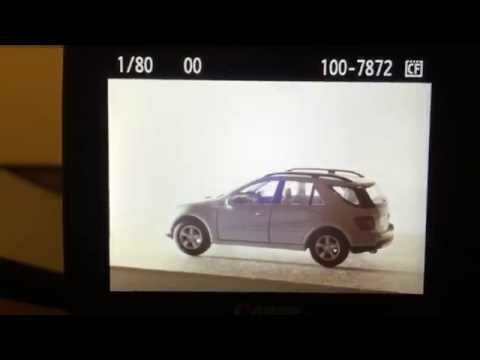 In fact you could hook up two strobes to Group A and/or B, and another two strobes to Group B and/or C, and it will work just as if connecting portable flash units (speedlights). I hope the above helps! Thank you. thanks. It means that i need to buy 3 Cactus V6 right? And when i shoot one photo after another, the flash group will sequencely be fired, A on- B off then A off- B on, and again right? One V6 (TX) on camera's hot shoe, and each flash gets one V6 (RX) unit. just in case the video is not a 100% clear, for your purpose you can use the V6's group cycling mode. In your case you would assign your flash "A" to group A, and your flashes "B & C" to groups C & D (or both"B & C" to group C, in case you don't want to or cannot control their power independently). In the "AB-CD" group cycling mode, the V6 will then alternate back and forth between your flash ensembles "A" and "B&C", i.e., you will get separate exposures for your mask and standard lighting. just tested cactus V6 with cut out mask. It works really well, I post here the ever first test. Thanks for all quick and nice support ! Cool sample image. Thanks so much for sharing with us. Hope that the Group Sequence function will streamline your produciton time!